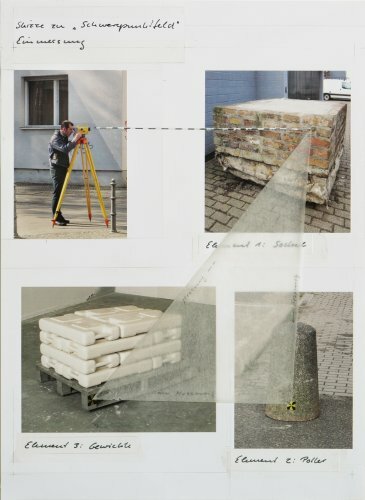 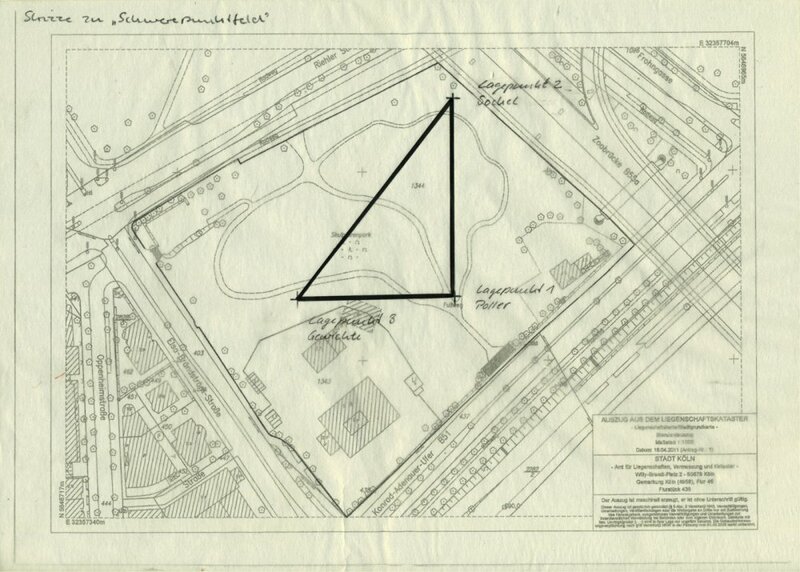 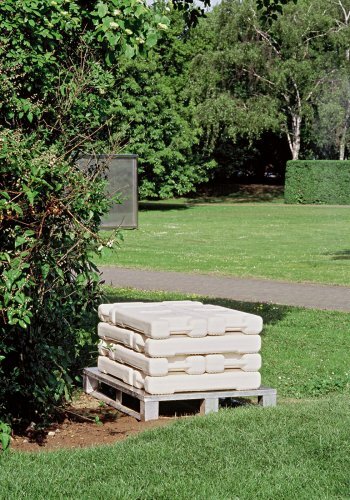 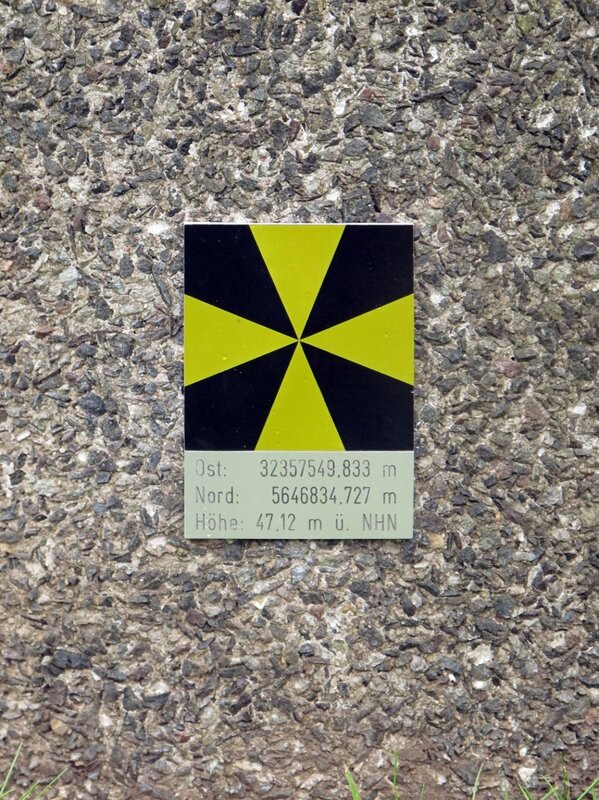 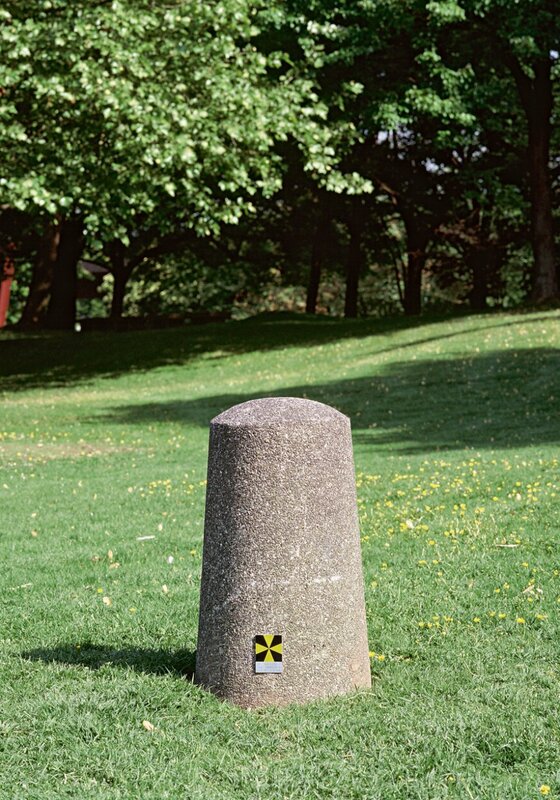 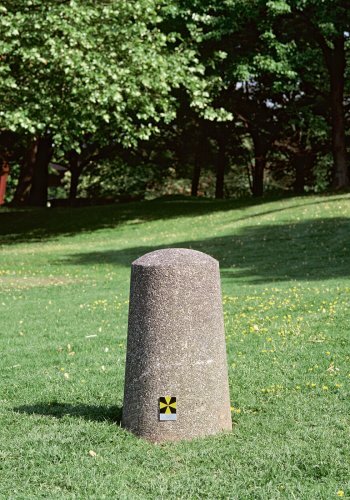 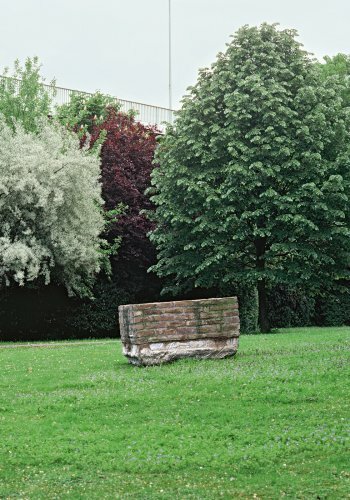 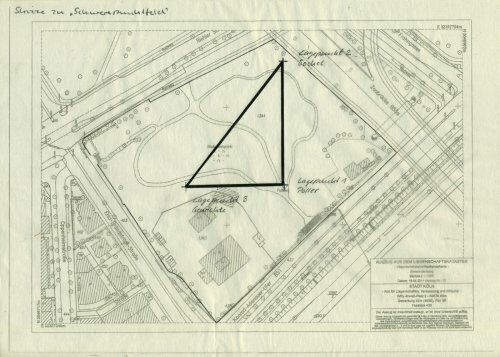 The work Schwerepunktfeld (Focal Point Field) consists of three objects that are arranged in a wide triangle, each of which is provided with a measuring point whose precise position and height was measured by the land-surveying agency. 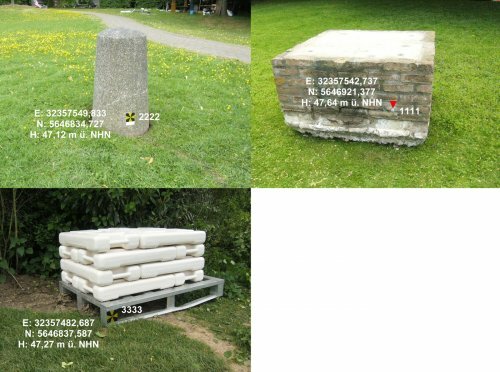 The selection of the objects was based on their weight, which was meant to give each measuring point a steady and stable location. 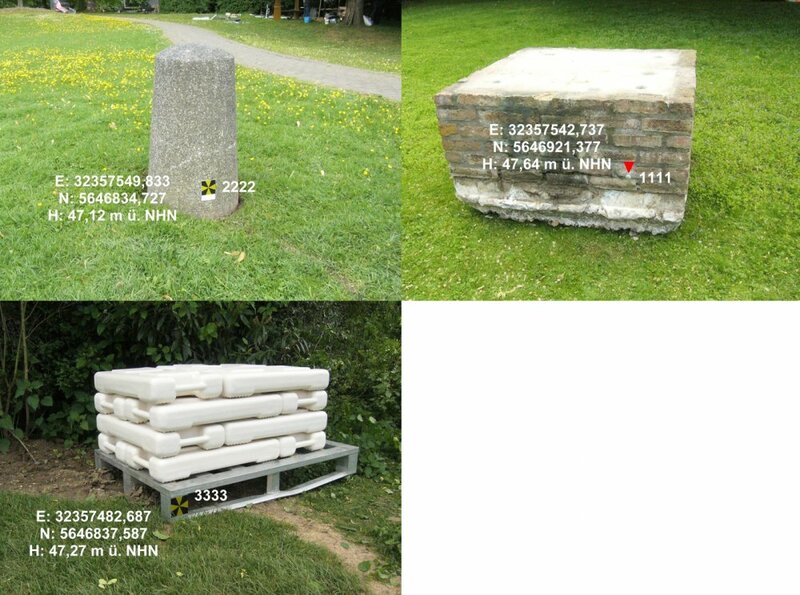 Thus the work can be found and identified on a map while the ensemble is mapping out its own specific field by assigning exact topographical values to its location.